For the compact SUV with the dimensions, luxuries, and power you’re looking to gain on the Lindenhurst roads, check out the 2019 Honda CR-V configurations. The CR-V offers two powertrain options, a max towing capacity of 1,500 pounds, and a continuously variable transmission (CVT), yet each trim offers something new for your West Islip commute. Learn more about the Honda CR-V trim levels at Babylon Honda. No matter the CR-V trim you choose, you’ll find something to keep everyone comfortable and entertained during your trips. Not sure about the CR-V? Compare it to its competitors, like the Subaru Outback, and then browse our current offers for specials on our Honda SUVs. 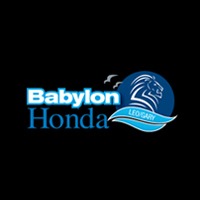 When you’re ready, schedule a test drive with us at Babylon Honda and take home the CR-V that’s right for you. Be sure to also check out the used CR-V inventory to get a great deal on a high-quality vehicle! 0 comment(s) so far on What Are the 2019 Honda CR-V Configurations?